Amazon.com, Inc. today announced that as part of its licensing agreement with Twentieth Century Fox Television Distribution, Prime Instant Video is now the exclusive online-only subscription home for streaming all 192 episodes of the award-winning series 24, starring Kiefer Sutherland as heroic agent Jack Bauer. 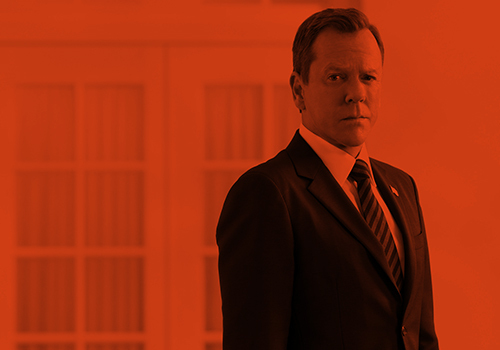 Prime members can access all eight seasons of the groundbreaking political thriller and 24: Redemption, a TV movie based on the series, in advance of the eagerly awaited 24: Live Another Day, which will premiere on FOX on May 5. Prime Instant Video will also be the exclusive online-only subscription home for streaming 24: Live Another Day later this year. Those who are not already members of Amazon Prime can sign up at www.amazon.com/primeinstantvideo . During its eight seasons, 24 chronicled Jack Bauer’s race against the clock to thwart political assassination attempts and multiple terror plots, with each season taking place within one 24-hour period. The series won a Golden Globe for Best Television Drama and a Primetime Emmy for Outstanding Drama Series; Kiefer Sutherland also won a Golden Globe and Primetime Emmy for his performance. Sutherland, co-star Mary Lynn Rajskub (Chloe O’Brian), producer Howard Gordon (Homeland), writers Evan Katz and Many Cato and director Jon Cassar reunite for the suspenseful 12-episode event, 24: Live Another Day. Set and shot in London, the series picks up four years after we last saw Jack, who was then a fugitive from justice. Now in exile, he is nevertheless willing to risk his life and freedom to avert yet another global disaster. 24: Live Another Day will bring back the groundbreaking real-time format of the original show, complete with split screens and multiple storylines. The event series, featuring an all-star cast that includes Benjamin Bratt, Yvonne Strahovski, Kim Raver, William Devane, Tate Donovan and Michelle Fairley. This entry was posted by Courtney on Tuesday, April 1st, 2014 at 12:21 pm. It is filed under 24, General. You can follow any responses to this entry through the Comments Feed.